Essential questions: How do you provide for a flexible learning environment? How do you provide for a flexible learning environment? Discussion in cohort/interest groups and create poster/brainstorm/spidergraph/feedback/gallery walk. Include reasons WHY you could use Flip in your class (ie: delivery purposes). In what format do you envision recording your content? Do you think one format lends itself better to your subject area than another? Look at the list of delivery purposes you developed in the last activity. Which of these formats would support those content purposes? Are there some things that you don’t think can be ‘flipped’ Discuss in groups and feedback to class. 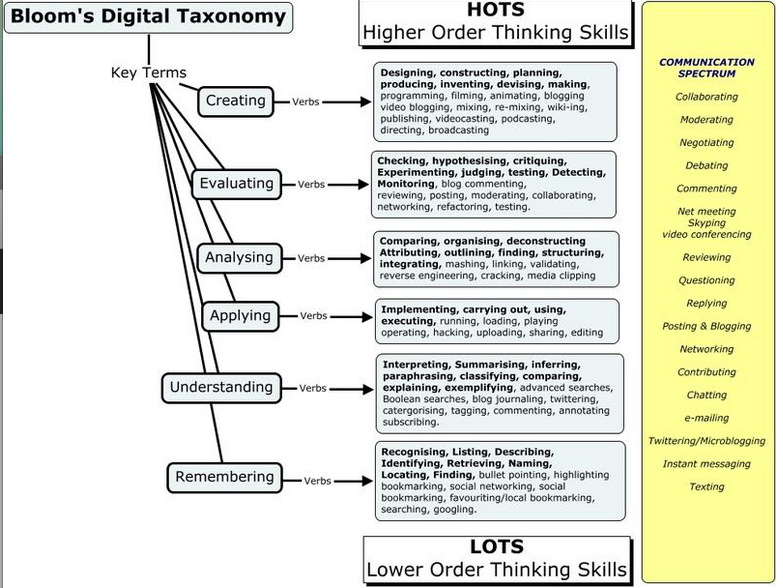 Look at SAMR and/or Blooms Digital Taxonomy. What level of SAMR/Blooms is Flipped? What about the examples that you just saw? A teacher would introduce new content to students for them to gain familiarity at home. The students are then prepared to more deeply engage with that content in the classroom setting the next day. Explain a few ways you anticipate using podcast videos to flip your classroom and relate these to inquiry. Use Padlet for this activity. If you have a large number of pre-made Powerpoints, diagrams, and images, then this option may be for you! The instructor may narrate and explain key concepts supplemented with key text, images, animations, and more. Most Khan Academy videos are in this format. The instructor may digitally draw out an idea, work through a problem, underline and markup text, handwrite notes, etc. In this format, an instructor positions in front of a camera, the record button is pressed, and the content creation begins! This is useful in instances where you'd like to present information on a whiteboard or chart paper, demonstrate a lab setup, show how to use a set of math manipulatives, etc. Many university podcasts are in this format to capture and archive professor’s lectures. Podcast/Screencast - Mike Boll @autismpodcast presentation on Podcasts is here.